Are you following the latest blogging trends to grow your blog? Do you know how to be a blogger that makes money in 2019? Blogging has been changed a lot in the last few years. To stay in the competition, you have to create attractive contents and have to engage readers. What blogging trends will dominate 2019? In this post, I will discuss 10 Blogging trends 2019 you must follow to stay ahead in your Blogging career. Choosing a quality hosting is a very important task and the first step for successful blogging. In 2019, speed will be a very important factor and you should select a web hosting which is fast, reliable and expandable. A cheaper hosting will not only damage your reputation but gives a bad user experience. I personally recommend Siteground. Check out why Bloggingjoy is running so well and fast on Siteground from a long time. I saved $539 for the next 3 years using this offer (Actual Price: $19.95/mo, but with this offer I got @ $3.95/mo only). Click here to grab 70% discount on SiteGround. Gone are those days you just write plain text and people read. 2019 will be a time for more engaging visual content. It means more pictures, infographics, video, and animations. Create content which is easier to understand and takes less time to read. Use tools like Canva, Venngage, or Photoshop to create engaging images and engage. The same goes for the blog header, videos or presentation powerpoints. An Illustration is also a good idea for blog images. Check this Infographics, isn’t makes it easier to understand this post and easy to share. This is very important if you want to rank better in SEO. Check Google search result to see similar articles on the topics and make sure your content length is more than top 5 results to rank better in the search engine. Google will give you a better ranking for more words. Remember this may not work if you just write to increase word. Write a well-researched article with in-depth data and examples. Target at least 1500+ words for your post. Some top bloggers like Akshay even write 5000+ words. So it is not easy to compete but you have to try it. Check this post to find how long your blog post should be. In 2019, to get more traffic you need to regularly engage with your readers. This includes Facebook or Instagram live or creating a Facebook group to help readers with their question and promotion. You also need to post useful post or article on your social media like Twitter and Facebook. The secret is you do not have to just write a blog post, you have to engage and make your presence feel with your audience. Check How Ankit Singla and Santanu are getting tons of traffic from their Facebook Group. Creating powerful backlink will be most important to get organic traffic. For a newbie two best way to get backlinks is; Create detailed quality content and writing a guest post. Check out this post to find how to create quality backlinks. This is very important in case you are looking for post ideas. Just do not select any generic topic for a post. Do thorough research and find a long tail keyword with low competition. Then start writing on the topic around it. It will help you to rank better and quickly in the search engine as competition is already low. Kwfinder is an excellent tool for keyword research and finds long tail keyword. Step 2:– Kwfinder will give you a list of long tail keyword, you need to check the last column for keyword difficulty. As I said earlier, a video is the very important part of the blogging. If you have not started your video channel, you are missing a big portion of the traffic. Whether it is a video tutorial, presentation or just images in the video; it is a good idea to create a video around your post to get more visitors to your blog. Youtube is one of the most widely used video sharing sites. If you have not started your Youtube channel, it is a good time to start it today. 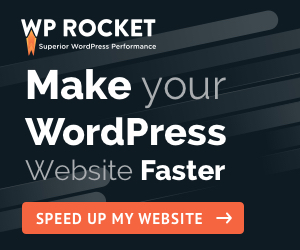 Speed will be a very important factor for your blog in 2019. Any blog which takes more than 4 seconds, the user is not going to stick to that and will leave. Every blogger should start Email marketing from day one. In 2019, it will be a deciding factor for bloggers. For a newbie, email marketing is collecting email leads of your readers by giving them some freebies like ebook, course or giveaways. The normal way of collecting email is using popups or after or middle of your post. But in 2019, people use different media like ads (on faFacebookInstagram etc) to collect emails. People also more focused to offer a specific course or webinar to collect email leads. Did you notice the popup on my website? I am using Thrive Leads to collect leads. Grab Thrive Leads for 1 website @ $67 only for a lifetime. Top bloggers do not rely only on organic traffic but they also promote their blog and post via ads. You can use a platform like Facebook, Google Adwords, Instagram or Reddit to promote your post depending on your user base. For example, if your blog niche is food or lifestyle, it makes more sense to use Instagram for your ads. You can allocate some funds monthly or quarterly for your ads and spend it wisely to reach a broader audience. Want to know what are the blogging tools I use to run this blog?. Responsive theme is not optional and it will be a must now. Your WordPress Theme should work seamlessly on all kind of devices. Your Google search and mobile friendly do affect the blog ranking in Google. Make sure you select a paid WordPress theme which is lightweight and responsive. Bloggingjoy recommends Generatepress WordPress Theme, as its fast loading, easy to customize and looks stunning. Just check the clean design & font usage of this website which improves readability. This is the part where most of the bloggers make mistake. They all write good content but forget to tell readers what they need to do after the post. This result is, users simply leave your blog. You need to tell user clearly what to do using a call to action. Even though this point is at #12 of best blogging trends 2019, but give this a top priority especially if you are an affiliate marketer. Do not limit yourself to your Blog. To get more traffic and authority for your blog, allocate some time and write on other high-quality sites like Medium, Hubpages, Quora etc. Even though people say guest blogging is dead, but to date, there is no doubt that guest blogging can change the fortune of your blog if done properly. And one of the evergreen blogging trends which will surely work for years. It will bring good traffic to your blog and help you to build important backlinks. It will also help you to reach a broader audience and you will get more subscribers. These lists may not be comprehensive but provide you with a good start for 2019. Blogging is changing rapidly and it is more competitive and smart now. Yo need to change yourself as per the current trends and focus on quality and do what readers are looking for. Networking is also important and makes sure you do connect with an influencer and share their content. The above list helps you to build a better audience and get more traffic in 2019. I wish you all the best for your blog and a great year. Ravi is a motivated and driven blogger who writes about WordPress, SEO, Blogging, and teaches everything that you need to be a Master Blogger at Ravisinghblog.in. He is a Software Engineer by profession, but loves blogging and traveling. wow… i have spent over 10 mins in reading This article. I am using CTA but i wasn’t aware that it is called CTA😂 . Well everytime i read bloggingjoy i get new ideas to imply & grow more. its been 4 months and my blog which is a SEO playground crossed 135k pageviews. A big hand to Santanu, Sumit Sao & Anil bro for providing me with in-depth information on nearly all expects of successful blogging. Thank you Rahul for sharing your honest feedback. Much great info here for blogging in 2019. I suggest any new or under-performing blogger use this article as a checklist as they go forward. And as for trends, my 2 cents is this… video video video. It’s the hottest trend now and will continue well into the future. Especially Live forms, on Youtube, Facebook, Twitter. It will certainly help your blog rise above the others. Thank you very much Donna for sharing your valuable thoughts. You are right, video is going to be the next big thing in blogging. In fact, it is super hot already. Thanks for posting such an informative article! Keep up the awesome work! Thank you Shakti for finding this article useful.